The last few months have been challenging, to say the least. Tremendous growth opportunity have been presenting themselves, some in uplifting ways, others were more difficult to handle. The difference, I found, lies in our level of resistance. I observed this in my own experience as well as in witnessing others, friends and clients alike. As wave after wave of energy is washing over the planet and through our bodies, the ability to surf those waves rather than opposing them makes the difference between "hanging ten" and having a marvelous time, or getting knocked down, dragged along gasping and flailing. I have done both. The human mind is designed to keep our bodies alive and functioning in this world. It relies on previous experience to do its job. Whatever coping strategy has worked in the past to help us survive and meet our needs is the one our mind tells us to repeat again and again. For most of the coping strategies there comes a point when they simply quit working. Whether we learned to be over-achievers, control freeks, escape artists, martyrs or rescuers, for example, eventually the body gets tired, and the soul is satiated with the old story. Something within us calls for change. At this point in history, we are actually called to do more than change. 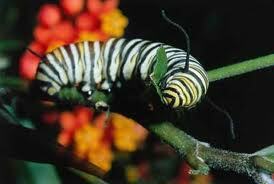 A caterpillar grows incrementally, eating everything in its path, being a consummate consumer. It is quite an expert at being caterpillar by the time it feels this strange new urge to quit eating, find a place to spin a crysalis, and go through a complete metamorphosis. The lucky caterpillar has no brain to tell it that it is about to die, be completely annialated. It is not terrified by the anticipation of turning its structure into amorphous stem cell goo in hopes that something totally new and different will spontaneously compose itself within the chrysalis it is happily weaving because its instincts tell it to. Our brains are well equiped to balance check books, get to the airport on time for the flight we booked months ago, or follow instructions for "some assembly required" as translated from Chinese. They are not prepared for the transformation that is approaching us these days. We will not sprout wings anytime soon. 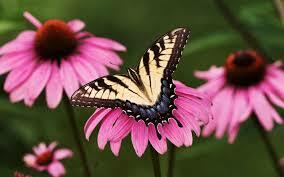 But our internal personality structure, our ego, is facing a complete metamorphosis. Who we thought we were is much too limited, and for the future of humanity, unsustainable. Our brains cannot be in charge of the metamorphosis. They are also not able to stop the process. They just make it far more difficult than it needs to be. What makes things easier is trust in the wisdom of the heart, and confidence in an intelligence far beyond our comprehension that is entirely benign and loving. My own transformation is well under way. Busy-ness has softened enough over the past months to allow time for internal chaos, dissolution of old patterns, and emergence of a new sense of self based on trust in my divine guidance more than ever. All is well, and the process continues. As always, I seem to be staying just 2 steps ahead of my clients in the journey, so I can be of assistance rather than scratching my head about what to do with all this new energy. This is exciting, and I am returning from a quasi-sabatical ready to delve into new adventures and opportunities. One significant change in my work is that I no longer accept insurance payments. Working with insurance confined me to the use of conventionally accepted physical therapy modalities that do not include energy work and intuitive guidance. Including those anyway made me wonder if I was committing insurance fraud. Letting go of the insurance connection has liberated me to follow my intuitive guidance and healing skill to a much more efficient level. For several months now I have been able to provide treatments in a private home in Hot Springs, MT, once or twice per month, depending on demand. If this location is more convenient for you, give me a call for more details and scheduling options. Another exciting expansion of my work is the recently established cooperation with fellow healers and therapists. Last not least, I am offering the first installment of "Healing Laughter and Blessed Ridiculosity", a day of transformation through laughter and play. Check out my events page for details. I hope you can join the fun!